If you thought light pollution is bad (and it is! ), radio pollution for radio astronomers is much worse. Even years ago, terrestrial pollution of the radio spectrum tended to swamp faint celestial sources at many frequencies, and in 1958 the FCC established a 13,000 square mile rectangular region of West Virginia, Virginia, and Maryland as the National Radio Quiet Zone. Two facilities within this protected region—whose natural topography helps to screen out many terrestrial radio emissions—are the Sugar Grove Station and the Green Bank Observatory near Green Bank, West Virginia. The world’s largest fully-steerable radio telescope dish was built at Green Bank in 1956. Though the original 300-ft. dish collapsed in 1988 due to a structural failure, it was rebuilt in 2000 as the Robert C. Byrd Green Bank Telescope, a leading facility for radio astronomy. Counties wholly within the NRQZ, where many radio-emitting sources are regulated or banned outright, are Alleghany, Augusta, Bath, Highland, Nelson, and Rockbridge in Virginia, and Hardy, Pendleton, Pocahontas, Randolph, and Upshur in West Virginia. The best place in the world to do radio astronomy is not on our world at all but instead on the far side of the Moon. Radio telescopes deployed on the lunar farside could “listen” to the universe with absolutely no interference from Earth. The solid body of the Moon (and its lack of an atmosphere) would completely block all radio signals and noise emanating from the Earth and Earth orbit. And some radio telescopes could be quickly and easily deployed (think long-wire antennas rather than radio dishes). Of course, the Moon itself will need to be designated as a radio quiet zone so that any lunar colonies, rovers, or satellites operate at frequencies and times that will not interfere with scientific work. Maybe infrared or optical lasers would be a better way to communicate? How would data from a lunar farside radio observatory be transmitted back to Earth? 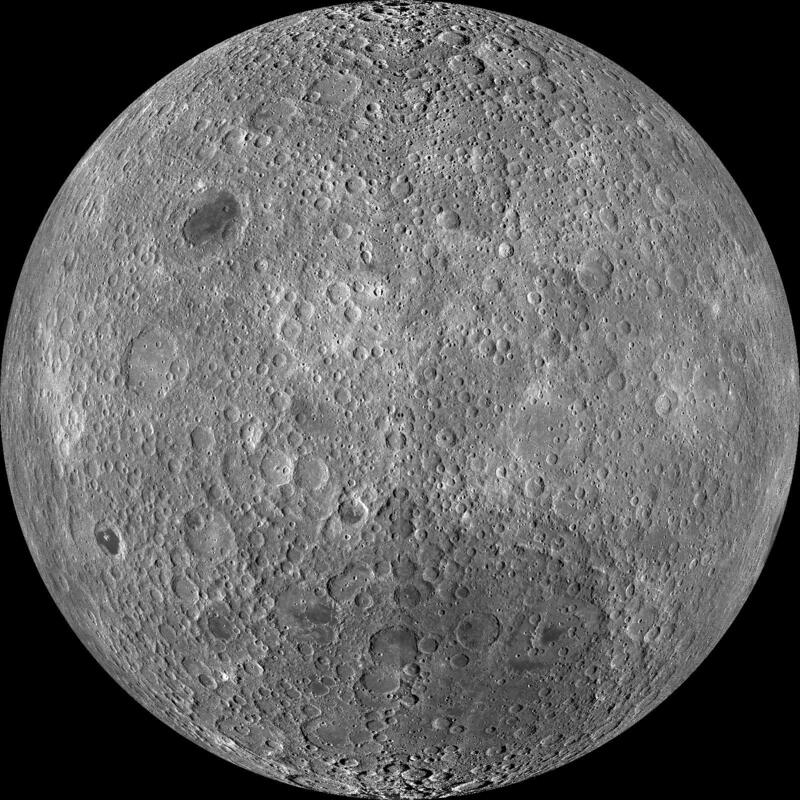 One way would be to have a dedicated lunar satellite that receives data from the radio observatory while it is traveling over the lunar farside. It would then re-transmit that data to Earth while it is traveling over the Earth-facing nearside. Another (probably more expensive) approach would be to have a series of radio relay towers spaced at intervals from the radio observatory around to the lunar nearside where a transmitter could send the data back to Earth. A third choice would be to locate the radio observatory in a libration zone along the border between the lunar nearside and farside. At a libration zone radio observatory, data would be collected and stored until each time libration allows a direct line-of-sight to Earth. The crater Daedalus, near the center of the lunar farside, has been suggested as the best location for a radio astronomy facility on the Moon (Pagana et al. 2006). There is also a region above the farside lunar surface where radio emissions from Earth and Earth-orbiting satellites, would be blocked by the Moon, called the “Quiet Cone”, as illustrated in the diagram below. The Earth-Moon L2 Lagrange point (EML2) is probably going to be within the lunar quiet cone. Because L2 is an unstable Lagrange point, a radio telescope in the quiet cone would need to be in a halo orbit about EML2, and a tight one at that to avoid “seeing” any radio emissions from the highest Earth-orbiting satellites. Antonietti, N.; Pagana, G.; Pluchino, S.; Maccone, C.
A proposed space mission around the Moon to measure the Moon Radio-Quiet Zone, 36th COSPAR Scientific Assembly. Held 16 – 23 July 2006, in Beijing, China.